ChangePlan Ltd can produce Hi-Res computer graphics for Video promotions / Exhibitions / Internet Web Pages & Multimedia presentations. In fact, whatever your needs, animations, and visualisations can add real impact. Millennium Dome, London. Olympic bid 2012. ChangePlan Ltd calculated the distortion affects produced by placing straight lettering onto the curved surfaces of the Millennium dome, London. We then applied distortions to the original artwork for the London 2012 Olympic bid. The banner was made up of 16 panels (24m high x 4.5m wide) printed by Macro Art. 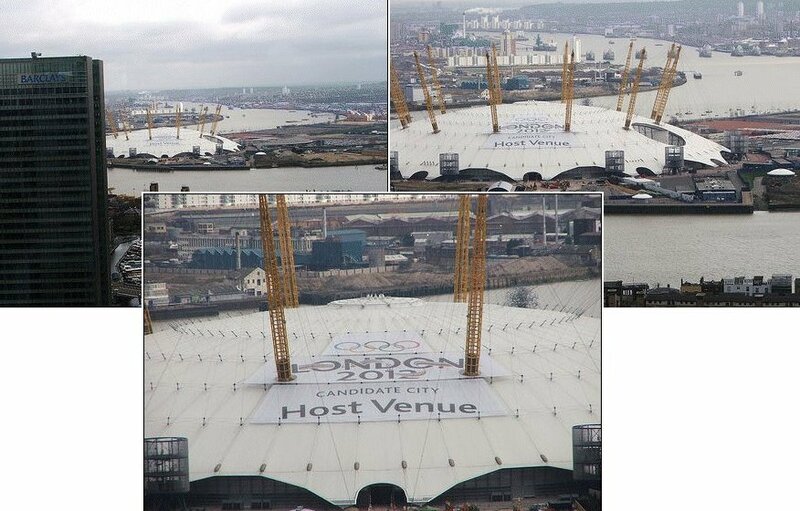 When the panels were joined, the resulting banner followed the curvature of the Millennium dome, London, so that when a banner was anchored 1m above the surface. The lettering and graphics would appear straight when viewed from above, as the members of the International Olympic Committee (IOC), flew in and out of London. St George's hall, Liverpool. European Capital of Culture 2008. 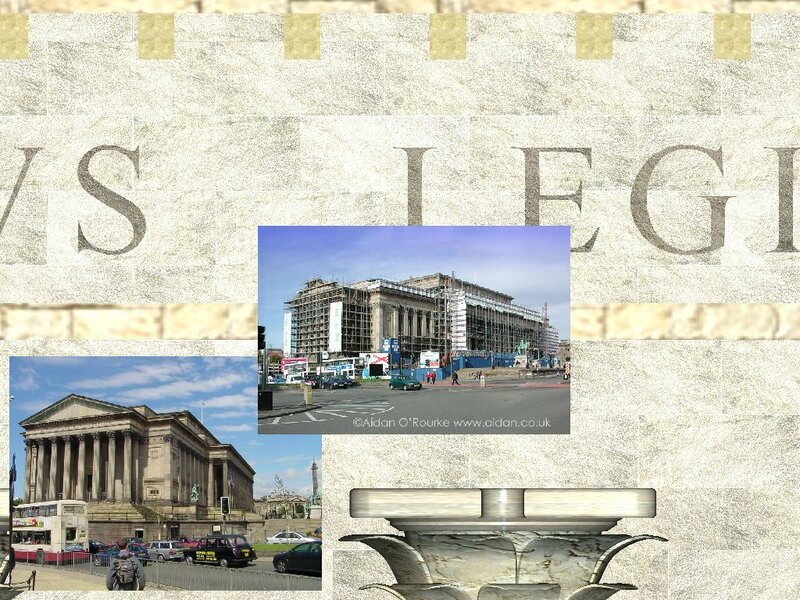 ChangePlan Ltd produced a full-scale 3D rendered model of the front of St George's Hall, Liverpool. The Building was covered in scaffolding during the officials visit to the city for the European Capital of Culture 2008, so a full size image (34m x 26m), printed by Macro Art, Great Gransden. The image had to be rendered in sections, due to software limitations, and then joined and blended together using software specifically written for the project. The image shown has been rescaled for the web. Its size was originally 4096 x 3072 (50mb) and there were 72 images to be assembled. Inset is the original image we were given to work from. Real time video editing suite. Real time video editing suite. Poster sized visuals produced for Imp Electronics, Cambridgeshire. We can also manipulate your graphics so they can be applied to any surface, from splitting and adjusting for different angled surfaces to distortions required for applying to curved surfaces.